Exam preparation and performance can be time consuming and confusing if you don't have the right skills, techniques and tips for doing well. With simple exam preparation skills, by the time you enter the exam, you will be in a position to excel and get the best grade you are capable of. Knowing what is important, revising on relevant topics and doing practice exams are all fundamentally important study tips for exams. This means knowing what the key areas of assessment are and the proportion of marks for each question. Look at your course guide and talk to your teachers to find out this information, so as to allocate the right amount of time in the exam and for exam preparation. From this information you should be able to map out what you need to be focusing on and which questions needs more time. Knowing the criteria and study questions will give you a basic orientation to excel in college exams. It is a good idea to start revision at least two weeks before the examination. Participate in study groups to better understand what is required and revise the key areas more effectively. Learn specific areas to be assessed to teach to your study group. This will minimize the time you spend revising and orient you in the best way for the exam. Meet with your study group as often as you can.... once every 3-4 days is a good start but it does depend on your learning style and study preferences. Create a cheat sheet approximately 1-1.5 pages in length, so as get the bare essentials of the examination area. Remember to be concise in preparing your cheat sheet. It should only jog your memory and orient you in study. How you design and adapt your cheat sheet should depend on your study style. Practice exams are vital in making the best of your ability and revision sessions. Do practice exams in real time so as to practice under the time and stress conditions of the actual event. Be sure to go over your practice exams to review areas of concern. 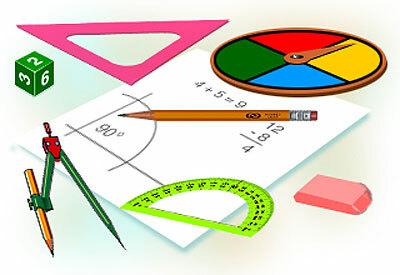 When do you start preparing for school entrance exams? Structured preparation for one year before the exams is a good idea. Carefully paced preparation over a 12 month period should be sufficient, without running the risk of your child becoming bored or 'over prepared'. Opinions vary on whether children should be intensively coached to maximise their performance in entrance exams. Some favour the view that the selection process should be based on 'natural ability', and others believe that every available resource should be applied to ensure an offer from a first choice school. The majority of parents' opinions fall somewhere between the two extremes, feeling that at least some degree of preparation is both appropriate and beneficial for their children, in the period leading up to entrance exams. At the end of the day, everyone should make an informed decision about what is right for their child, and their particular circumstances. Children who are already in the independent school sector will more than likely receive suitable preparation at school. Mental arithmetic skills are extremely useful. Children should know tables up to 12 reliably, and be able to add and subtract at least 3 digit numbers quickly and accurately.